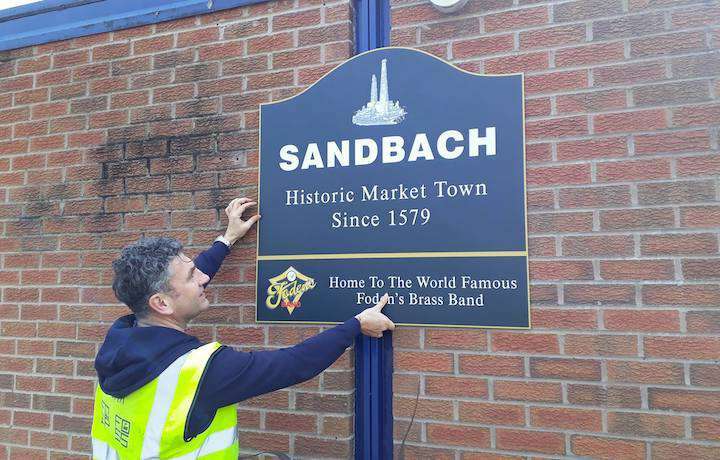 In 2017 Sandbach Town Council were responsible for installing new town and village signs at several key locations in Sandbach making reference to Foden's Band. Speaking about the announcement Mark Wilkinson commented, “Foden's Band has been associated with Sandbach for 117 years and we are extremely proud our our history and association with the area. We would like to thank the Friends of Sandbach Train Station for arranging these signs that further enhance our status in the Town”.